ENT? What does that mean? ENT stands for Ear Nose & Throat which is the area of the body that Otolaryngology (pronounced oh-toe-lair-in-GOLL-oh-jee) specialists usually treat. Otolaryngologists are physicians who are specially trained in medicine, surgery and treatment of the ear, nose, throat and related structures of the head and neck. Otolaryngology is the oldest medical specialty in the United States, and Otolaryngologists complete up to 15 years of college and post-graduate training before becoming board certified and beginning practice. They are commonly referred to as ENT physicians, which stands for Ear, Nose, Throat. Both Drs. Bello and Magardino are board certified in Otolaryngology-Head & Neck Surgery. Otolaryngologists are trained in both the medical and surgical treatment of hearing loss, ear infections, ear noise (tinnitus), and some cranial nerve disorders. Otolaryngologists also manage congenital (birth) disorders of the outer and inner ear. Care of the nasal cavity and sinuses is one of the primary skills of Otolaryngologists. Communicating (speech and singing) and eating a meal all involve the throat. 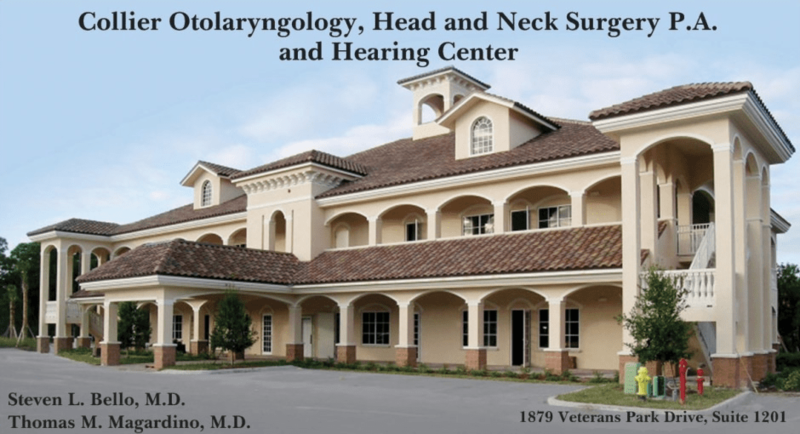 Otolaryngologists manage diseases of the throat, larynx, and the esophagus, including voice and swallowing disorders. This area of the body includes the important functions of sight, smell, hearing, and the appearance of the face. 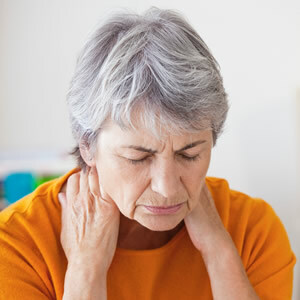 In the head and neck area, Otolaryngologists are trained to treat infections, benign and malignant tumors, facial trauma, and deformities of the face. They may also perform both cosmetic and reconstructive plastic surgery. We have been treating patients and their families in the Naples, FL area for more than 20 years. Come see us at Collier Otolaryngology. Let us give you and your family members the care you deserve. Specialty Ear, Nose and Throat Care plays a part in your overall health.